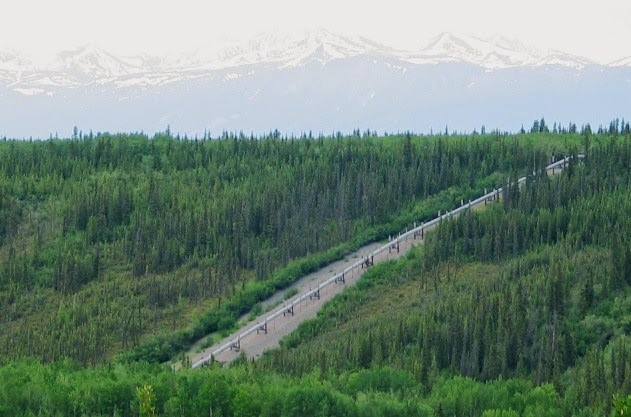 Covering more than 13 million acres and larger than the country of Switzerland, Wrangell-St. Elias National Park in Alaska stretches from one of the tallest peaks in North America, Mount St. Elias at 18,008 feet, to the Pacific Ocean. Yet within this wild and remote landscape, people live off the land just as they have been doing for centuries. Subsistence fishing and hunting are allowed for the hardy folks who live in or near the park. After a typical--but magical--Alaska cruise, we rented a car and drove for a week to destinations off the beaten path. The challenge of finding and exploring lesser-traveled areas of Alaska led us to this starkly beautiful region. If you look for adventure when traveling, this park should be on your bucket list of places to visit. Wrangell-St. Elias National Park and Preserve is a designated and managed wilderness area, largest in the U.S. National Park system. On September 3, 1964 President Lyndon B. Johnson signed into law the Wilderness Act which established the National Wilderness Preservation System and set aside millions of acres of wildlands for the use and benefit of the American people. Now at the half-century point, it is fitting that the U. S. park system has chosen the theme "50 Years of Wilderness" to celebrate in 2014. With weather the main consideration, the primary season for visiting Wrangell-St. Elias is early June through mid-September. Wrangell-St. Elias National Park and Preserve has no entrance stations or gates and never actually closes; however, winter arrives early to interior Alaska and by September 15th, available services and facilities have greatly diminished. Two roads go into the park, the Nabesna Road and the McCarthy Road. Both roads are maintained by the state of Alaska and are open year-round but may not be maintained regularly during the winter. So driving into remote sections of the park (which is most of it) can be quite risky. 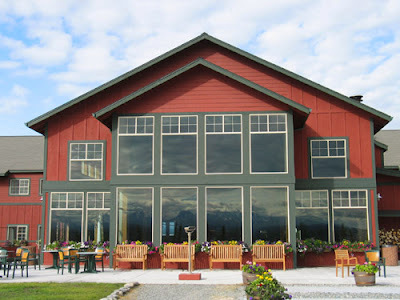 A good place to start your visit is at either the Wrangell-St. Elias Visitor Center on the Richardson Highway in Copper Center, which is open Monday-Friday year-round or Kennecott Mill Town, located at the end of McCarthy Road. 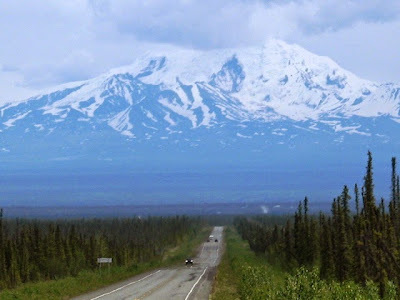 Getting to Wrangell-St. Elias National Park and Preserve takes most of a day driving from Anchorage. It's not on the way to anywhere else, so be sure that's where you want to end up. Of course, the scenery along the way is spectacular, so that’s worth the drive itself. When you finally arrive, there are endless opportunities to explore and discover. 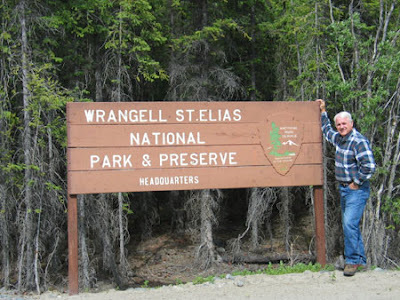 Start by viewing the park movie in the theater at Wrangell-St. Elias Visitor Center where you can enjoy the exhibits, stroll the short nature trail to view the Wrangell Mountains, and get oriented with the large 3-D interactive map display. Rangers are also on hand to offer advice and suggestions for outdoor activities. For spectacular views, drive 55 miles on the Edgerton Highway to the historic town of Chitina. Along the way, stretch your legs on the Liberty Falls Trail and enjoy the park's high peaks. 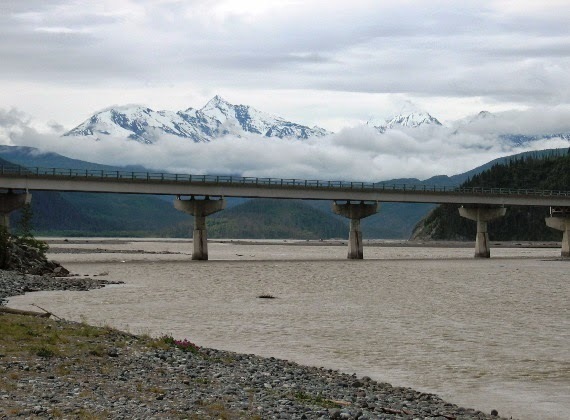 After exploring Chitina, which surprisingly is home to several artists, drive over the bridge to the Copper River. In summer you can watch indigenous people harvesting salmon with fishwheels and dipnets right by the beach. If you’re spending several days in the park, consider hiking or kayaking. The Nabesna Road takes you to remote corners of the park with great camping, hiking, and wildlife viewing. The McCarthy Road allows for leisurely explorations of a rural Alaskan town and the Kennecott Mines National Historic Landmark. An easy hike on the Root Glacier Trail brings you right to a river of ice. 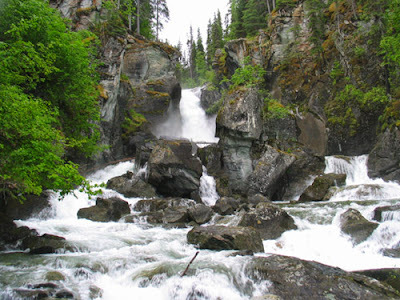 Hikes that are more strenuous lead to the mountainside Bonanza and Jumbo Mines. The backcountry of Wrangell-St. Elias offers excellent wilderness experiences, if you’re experienced in these activities. A flight on an air taxi from Glennallen, Chitina, Nabesna, or McCarthy can transport you into the heart of the park—but this is not for novices. The wilderness can be harsh if you don’t know what to expect and how to get along in extremely remote areas. For those less adventurous, a guide/outfitter service can take you safely on glacier hikes, walking tours, float trips, and flightseeing excursions.